The first of this beautiful season of Autumn took its place amongst us this week. 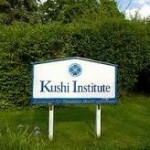 Here in the Berkshires, MA I had the pleasure of finding myself celebrating it with those at the Kushi Institute, the leading center in the world for macrobiotics founded by Micho Kushi. Located in Beckett, MA a short distance from my home I traveled up the roads through the trees and crisp air to find myself plateaued over looking beautiful majestic hills and valleys. There nestled between the trees I had the pleasure of being welcomed into the season with through the personal staff of the Kushi Institute. Sitting to the family style table of delicious meals shared with the community of participants who attended the workshop we all gathered enjoying the bounty of health and wellness the center has to offer. I went to the Kushi Institute as an assistant to Ms. Virginia M. Harper founder of You Can Heal You, a healing program for Crohns and Colitis. She led a workshop September 20th-26th entitled Controlling Crohn’s Disease and Ulcerative Colitis thru Diet! The workshop consisted of informative lectures along with macrobiotic cooking demonstrations supported by the Kushi Institute. We welcomed participants to share of their stories reflecting on health and healing while they gained hands-on techniques and practices that support digestive wellness and been effective for over 35 years in allowing Virginia M. Harper to be Crohns free. I was invited by Ms. Virginia M. Harper to assist in her facilitation of the workshop having supported clients in her Private Residential Intensive Program. As a former participant in her program I was able to share of my own experiences with Ulcerative Colitis and my life since having attended You Can Heal You. Along with the healing cooking and food choice practices that I have adopted into my life from learning about macrobiotics through Virginia M. Harper, I reflected on how I have approached healing. Healing as a life-long commitment to remaining aware of myself is the choice that I have embraced as part of my desire to be happy. Living in self-awareness and appreciation has been a guiding thread I keep weaving in and out of the tapestry that is created day by day by how I treat myself and relate to the world around me. This was how I began the first of the Autumn season, amongst those who like myself have sought a way through their discomforts to gain a better understanding of themselves of their condition and understand their own pathway of healing. Autumn is a season that opens the way for us to look within. I invite you in this season of Autumn to take a moment of reflection on what your approach to healing has been and how you have approached yourself in adopting healthy practices into your life. Perhaps there are openings into yourself and how you bring wellness into your daily life you would like to visit. Exciting. If you get around to it how would one begin to change gut wellness? A little at a time? Thanks Amy, yes a little at a time is a good beginning. What I would suggest is begin with cultivating good bacteria for your belly. Adding probiotics into your routine through foods like saukraut, kimchi and other fermented vegetables. Be gentle with yourself is primary.